Cilantro rice is the one which I fall in love with even from the first time I prepared it. 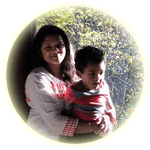 It is that simple to make and the fresh aroma of cilantro, also known as coriander or Chinese parsley, force me to make it almost every single day. But my family will push me out of the kitchen if I feed them the same cilantro rice every day. So I am not going to do that anyway. I used the extra virgin olive oil to make the cilantro rice which made the big difference.The only thing to take care while using the extra virgin olive oil is its low smoking point. Cook on low flame, so that you can avoid the smoke detector from making that terrible noise. ( I always hear it). 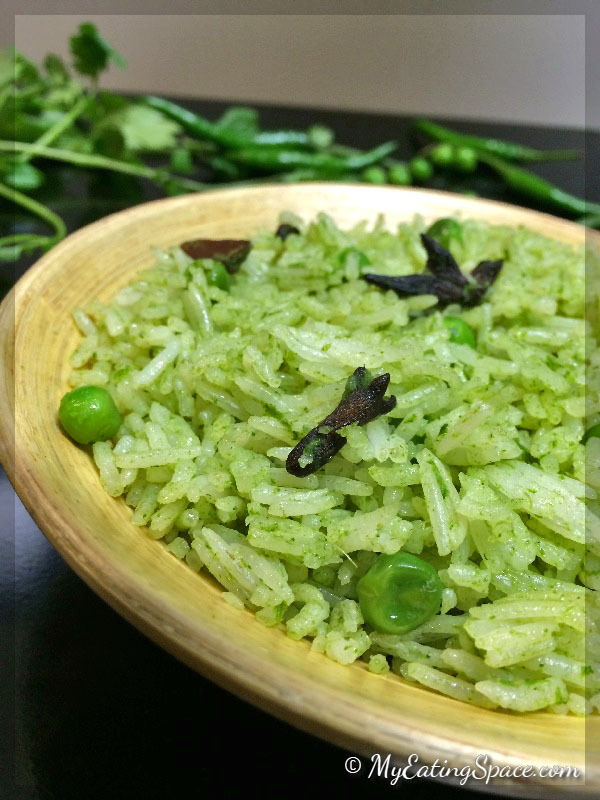 The green color of the rice was the other fascinating factor that got me hooked for cilantro rice. I also added some sweet peas to intensify the green color. So, what are you waiting for, go grab a bunch of cilantro and start making the spicy green cilantro rice. I am going to show you how to cook it in the video below. And then follows the written recipe. 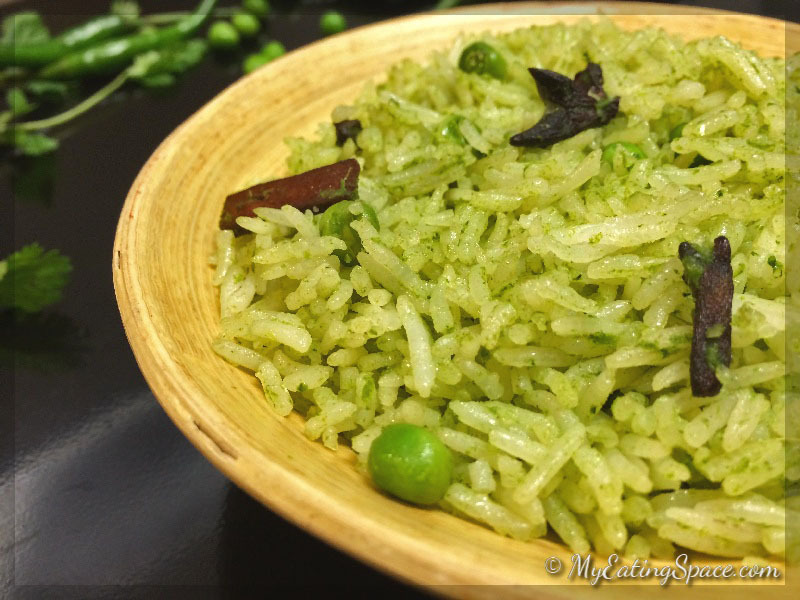 Cilantro rice is a delicious green colored rice mixed with sweet peas. This unique falvoured dish is more than enough to make you hungry. Mix together the cilantro leaves, ginger, garlic, green chilli and water in a blender. Blend well to make a smooth paste. Keep aside. Stir-fry the cloves, cinnamon and star anise in hot oil. Now add the cilantro paste into the oil. Add salt and mix well. Stir-cook for 4-5 minutes until the raw taste is gone. Now add the green peas and mix together. Cook for 3-4 minutes. Then add the cooked basmati rice into the pan. Gently mix using a spatula. Cook for 3 minutes. 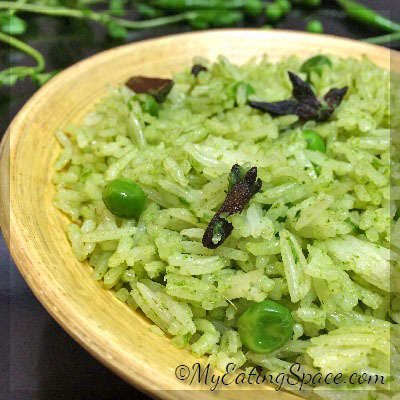 Cilantro rice can be served as a main course dish for dinner or make it for the next lunch box. But it also goes well with Mexican and Thai dishes as a side.You can pair it with a chicken curry or make it simple with raita and pickle. Either way, it tastes great.